Kimberly Bell today outside of the courthouse...Barry's testicles shrank!!!LOL!!! Bell described Bond’s as having frequent penile dysfunction, and when that would persist, Barry would become increasingly aggressive, irritable, agitated,and very impatient. 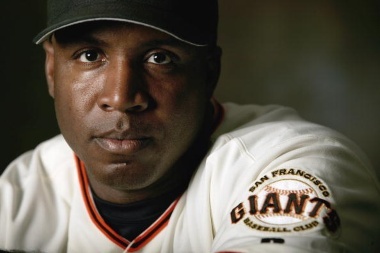 Who knows what went on between these two, and we must take into account that the couple had a bad break up in 2003, and Kimberly Bell has exploited her relationship with Barry Bonds for financial gain. She is not a happy ex…she is the quintessential mad honey on a mission!!! The prosecutors claim that Greg Anderson repeatedly injected Bonds with steroids. ….expect more salacious details regarding Barry Bond’s home run hitting, or striking out during this trial, predictably by more mistresses, ex-lovers, jump-offs, and maybe even his wife. This entry was posted on March 29, 2011 at 5:58 am and filed under Entertainment News,Social Politics. You can follow any responses to this entry through the RSS feed.